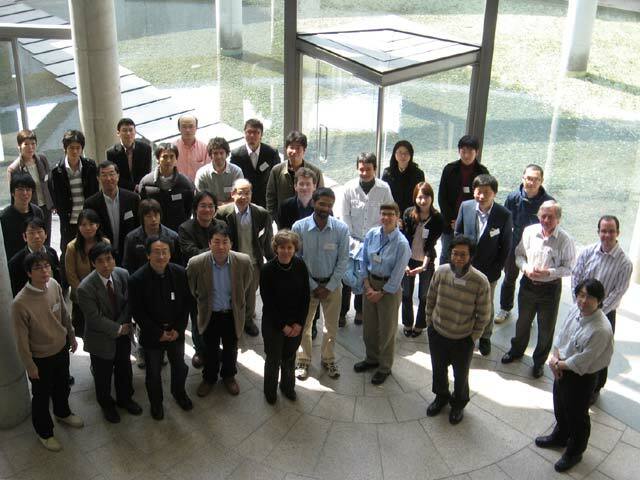 This symposium is organized as a research activity of our project "Creation of Non-Equilibrium Soft Matter Physics -Structure and Dynamics of Mesoscopic Systems-" supported by a Grant-in-Aid for Scientific Research on the Priority Area from the Ministry of Education, Culture, Sports, Science and Technology of Japan. " (2006-2010, Project Leader: Takao Ohta of Kyoto University). Recently it has been revealed that multi-component lipid membranes show fruitful and important biophysical behaviors such as phase separations, shape deformation, adhesion, fusion and so on, which may play important roles in biological functionalities. The main focus of this workshop is to exchange the information on recent research topics on physical phenomena in multi-component membranes from physical and biological points of view. Especially in order to encourage deep discussions we would like to restrict the number of participants ~40 persons, who have been investigating the research topics. We reserved hotel (Keio Plaza Hotel Tama) for invited speakers during the conference period.